WHO? WHO? 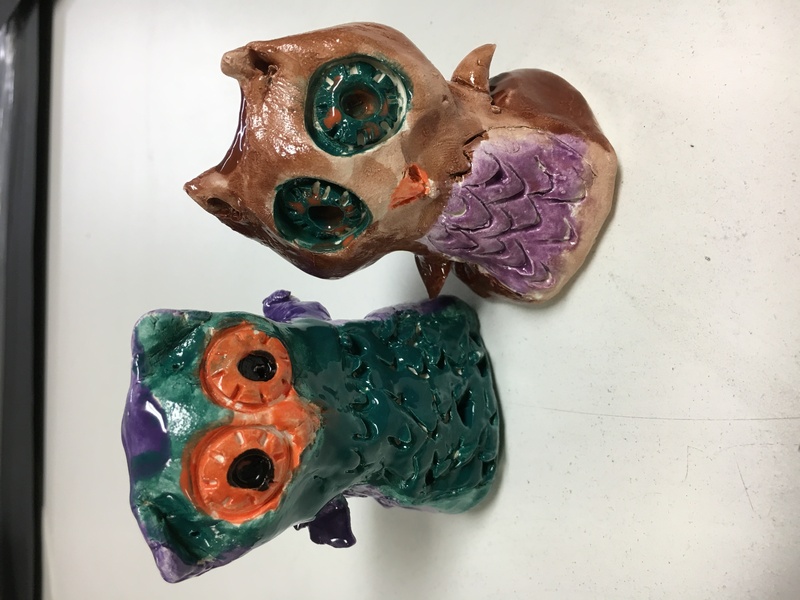 Who created this challenging but FUN project? 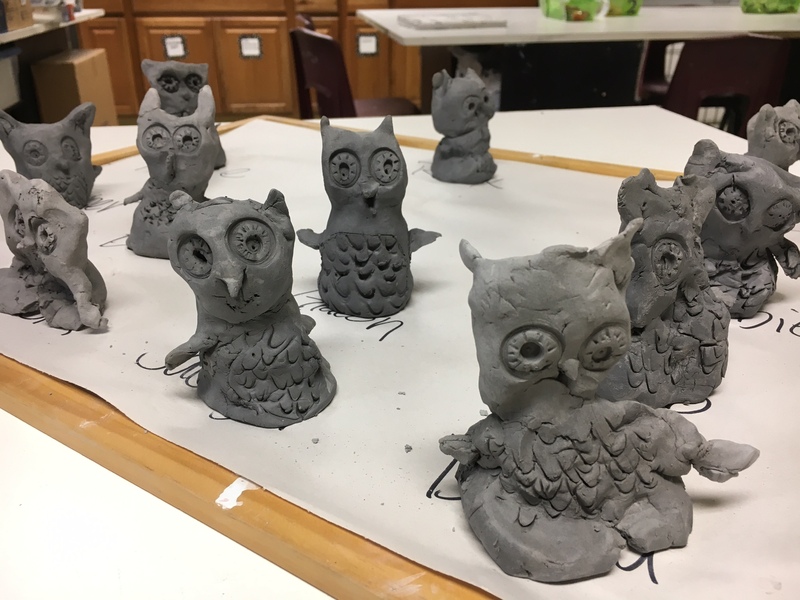 My After School Art Class (k-4th grades) just finished up these ADORABLE little owl sculptures. 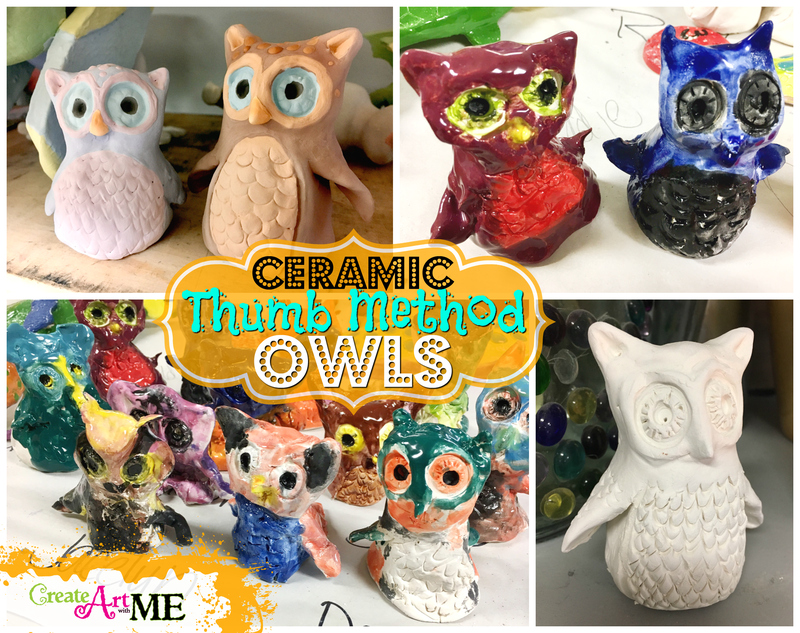 We used the thumb clay technique (with some modifications) used on Artsmudge’s Clay Owls and Mrs. Knight’s Smartest Artists’ Clay Thumb Owls. 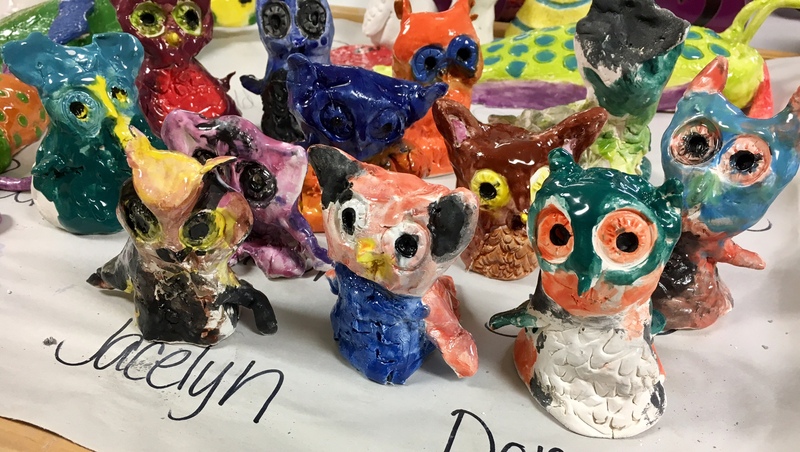 Please give credit to these AWESOME art teachers for creating this project (I LOVE their blogs)!! 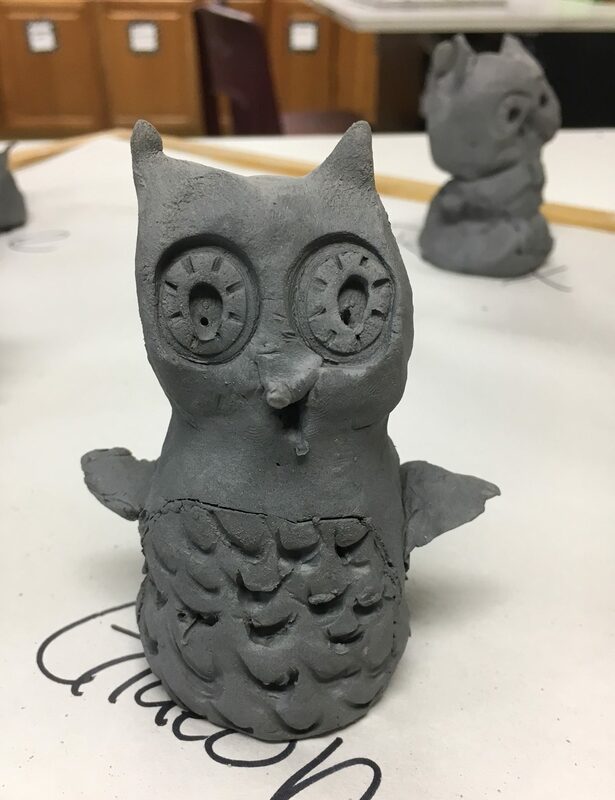 Project Objective: Create an owl using the “thumb” method. 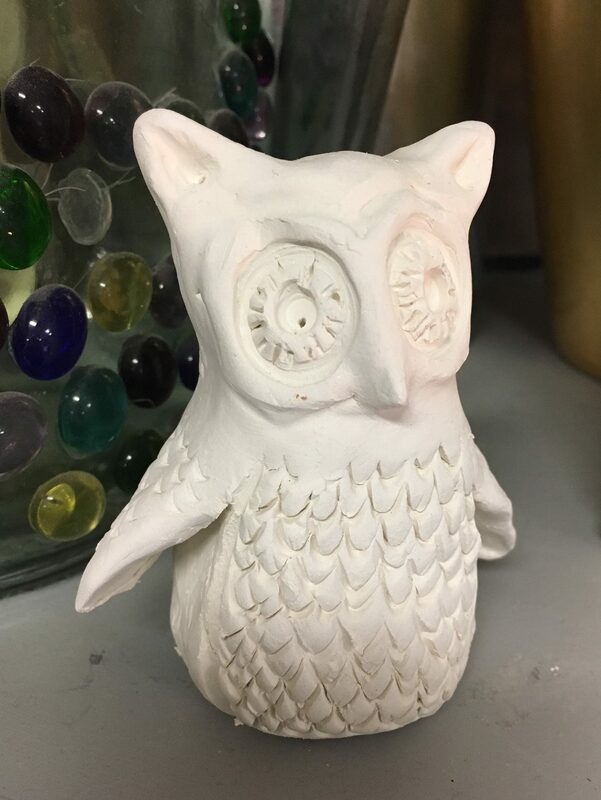 Demonstrate proper technique and good craftsmanship. 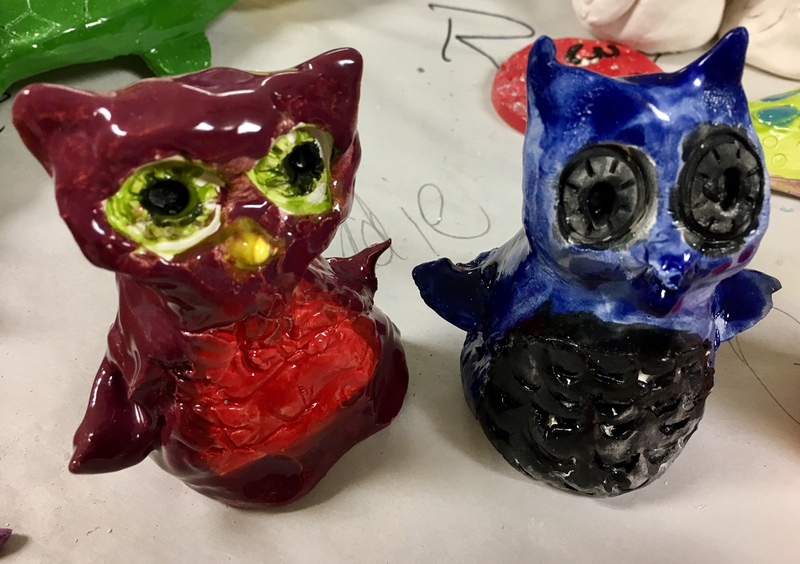 Owls are almost always nocturnal which means they will only be active at night. The female owls of almost all the species are about 25% larger than the males. Even though there are many species of owls there are two main categories – typical owls and barn owls. Owls have exceptional vision that allows them to be very good hunters. They also have very good hearing. Owls are able to fly silently. Antarctica is the only place in the world where there are no species of owls found. The Least Pygmy Owl is the smallest in the world and is only about 4 inches tall. The largest owl in the world is the Eurasian Eagle Owl which is about 28 inches tall. 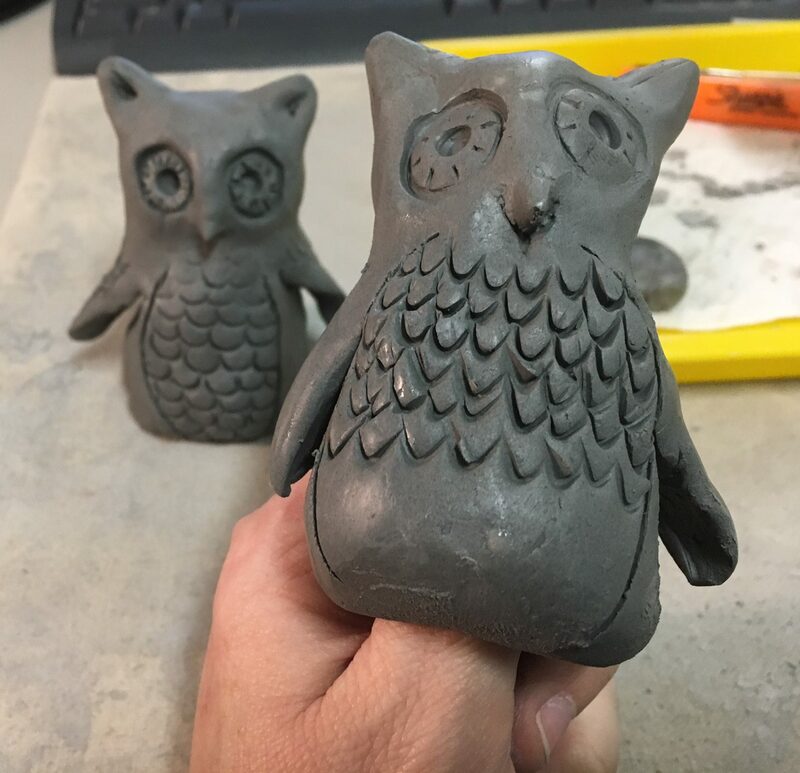 Hooting is the most common type of vocalization that owls are associated with. However, they also whistle, purr, and hiss. 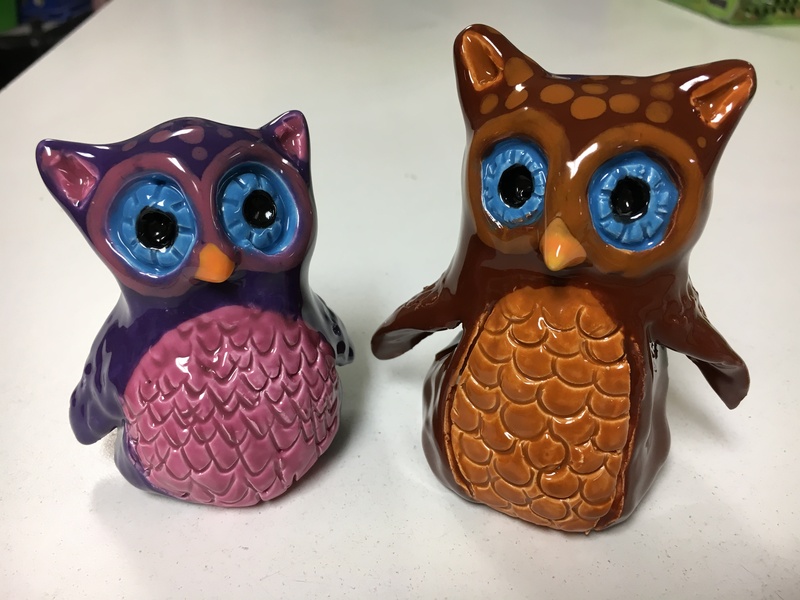 Owls have three eyelids that protect their huge eyes. Give each student a small ball of clay. Have them wet their non-dominate thumb. Press the ball of clay onto the thumb. Leave about 1/2″ wall at the top. 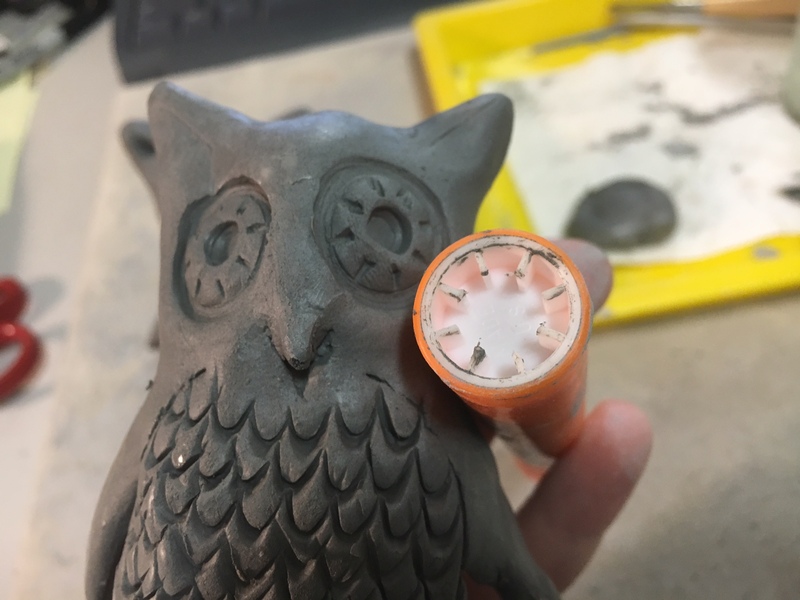 Gently squeeze the clay around the thumb until it goes down to the bottom of the thumb. **Try to keep an even thickness, so don’t squeeze too hard on one side!! 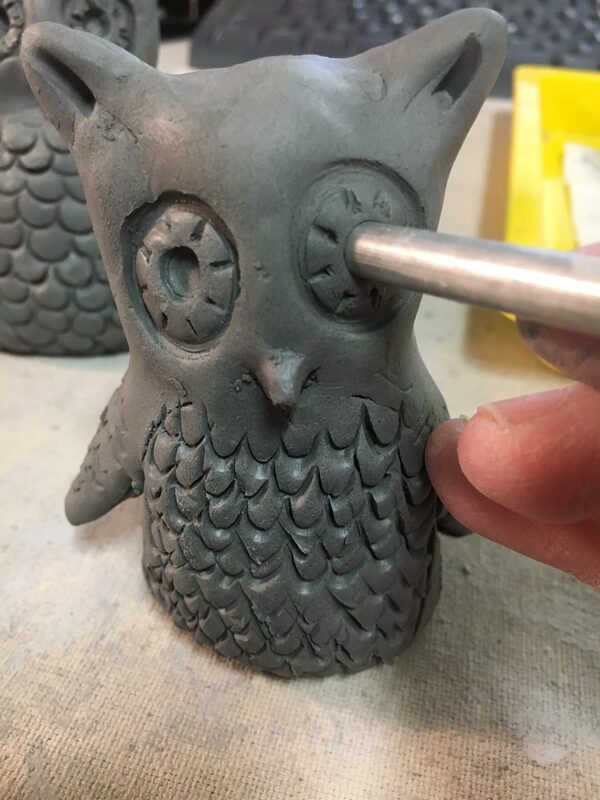 Gently squeeze the clay by pressing in slightly where the neck would be in order to form the head. 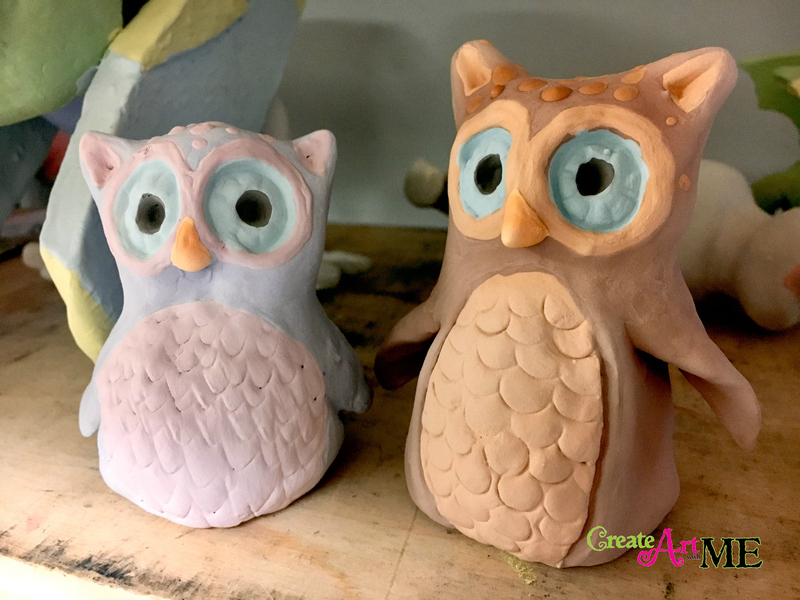 Gently pull the clay upward to form the ears. Press the end of a paint brush in the center of the ear. 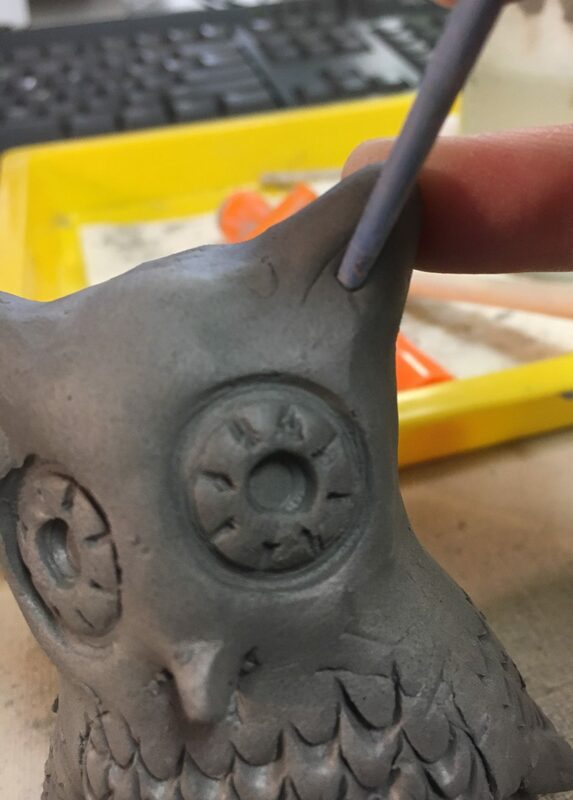 Wiggle the clay gently off the thumb. 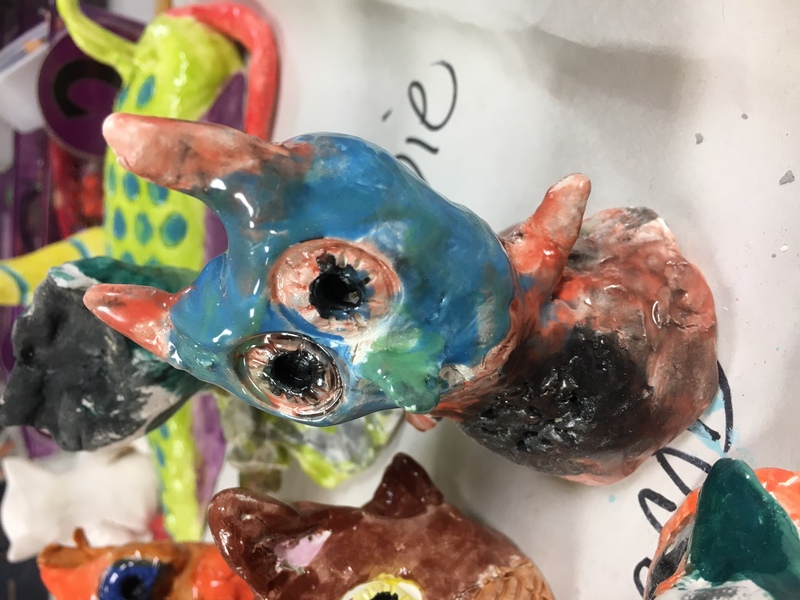 Remind students to be careful to NOT squeeze the “thumb” opening in the clay closed. Use the end of a highlighter or Expo Dry erase marker (one that has the lines poking out) to press in the eyes. Then press into the center of the circle with the end of a round modeling tool or with the eraser of a pencil. Use scissors to cut & lift the wings. 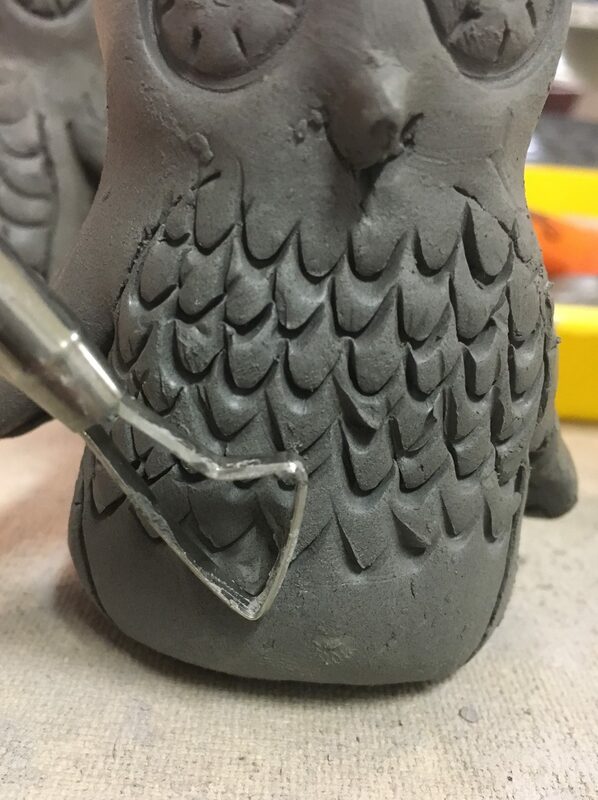 Use a V-Shaped modeling tool or a straw that you shape into a point on one side to press in the feather texture. 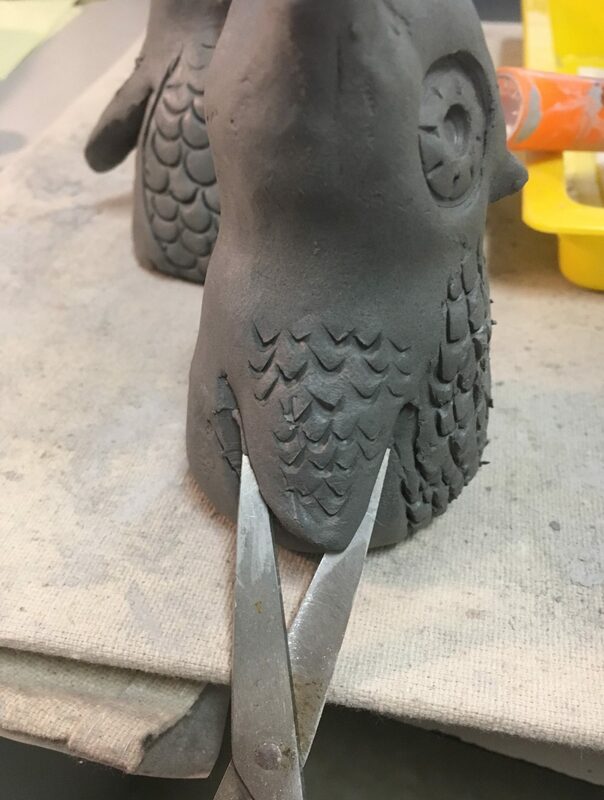 Poke through some of the feathers to prevent air holes, especially if the “thumb hole” collapsed. Dry for 10-14 days and then bisque fire. 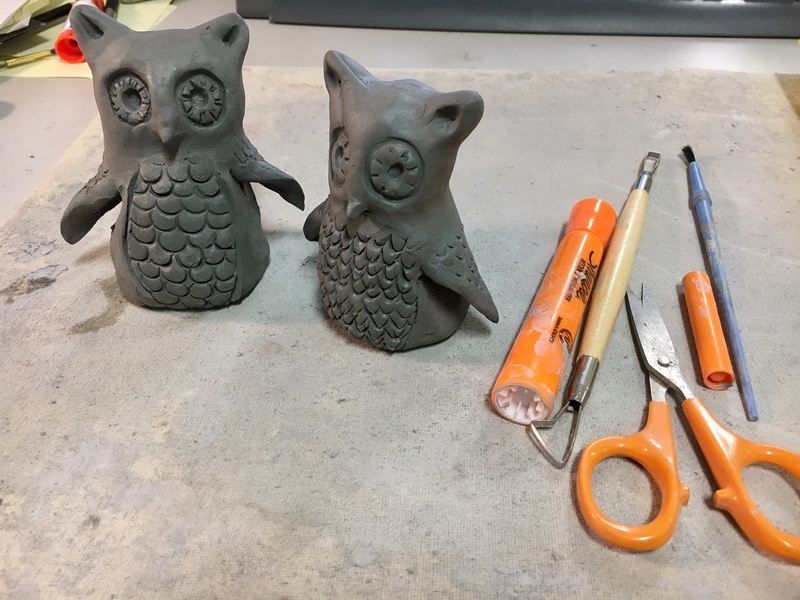 After bisque fire, glaze the owls. All images and text are copyright © Create Art with ME. If you choose to use any of the images or text in this post please link back to my blog Create Art with ME.